A Limited Time "1-Shot Demo" Event for Resident Evil 2 is Coming to PlayStation 4, Xbox One and PC! Horror fans around the world will get an intense sneak peek at Capcom’s hotly anticipated title Resident Evil 2 before its launch with a special demo event starting this week for PlayStation 4, Xbox One and PC players via Steam. Available to download for a limited time from Jan. 11 to Jan. 31, this will be the first opportunity for fans to experience the completely reimagined horror classic from home. Aptly named the “1-Shot Demo,” players must take on the challenge of surviving the horrors of Raccoon City in just 30 minutes. If players complete the mission objective under 30 minutes, they can restart the mission until they use up their full time. If players succumb to the zombies during their 30 minutes, they can continue any number of times until the full 30 minutes have been reached. 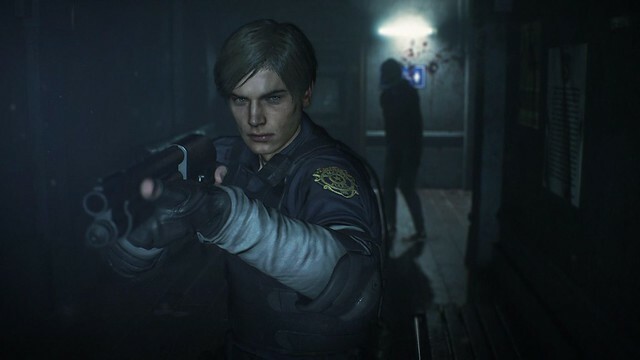 In the “1-Shot demo,” players step into the boots of rookie police officer Leon S. Kennedy as he arrives at Raccoon City Police Station in the ultimate worst first day on the job. Leon must survive vicious zombies and solve puzzles to find safe passage out of the station. With an entire building of flesh-eating nightmares lurking between Leon and his escape while the clock ticks down, players need to be sure they’re killing more than just time. Kind of a cool idea. I'm your Huckleberry. What would be cool is if the demo was the full game but you can't take any damage and when you do game uninstalls. I was just thinking something similar. The game is on the hardest setting and can't be changed for the demo, but you get the full game if you can beat it with one life. Great idea for the demo. RE2 is likely GOTY. I want the bad voice acting intact. That was my most memorable err.. memory.. of the game.